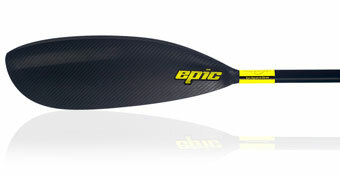 The Epic small mid wing is the same area as the Bracsa 4 min so is suitable for smaller athletes. Ideal for sprint and marathon as well as ocean racing this paddle is perfectly balnced in the water so there is minimal load on the forearms. Other lengths are available on request please email.